Iran is a multi-ethnic country with an ancient, diverse history. In every part of this vast country, people of diverse ethnic backgrounds have their own unique musical culture in which women’s voices have always played an important role. After the successful first festival in 2017, the Iranian ethnomusicologist Yalda Yazdani and Andreas Rochholl from the Contemporary Opera Berlin again visited singers in the border regions of Iran in July 2018, documented their lives and invited them to Berlin. For „Female Voice of Iran – Sounding Borders“, nine female singers of the younger generation from different ethnic groups and regions of Iran have been invited. For the festival all invited singers and musicians will in addition to their solo performances team up with musicians and artists of the international contemporary music/art scene of Berlin. Besides the concerts there will be lectures, ﬁlm portraits and panel discussions which will give a unique insight into the abundant and active production of contemporary female Iranian music. Film portraits and panel discussion. The videos about the singers of this festival and their daily life have been filmed in July 2018 in Iran. Jamileh Amaniyan was born in 1989 in Bandar-e Torkaman, Golestan provice, Iran. Turkmen Sahra is a region in north east of Iran, bordering Turkmenistan. The majority of the inhabitants are ethnically Turkeman and their official language is Turkmen which is a Turkic language. Jamileh started learning Turkmen folkloric music and singing in her early childhood from her mother and later on she collaborated with different music bands, such as Chilar Makam, Agh Ghola as well as the music ensemble of the Ministry of culture and Islamic guidance of Gonbad-e Kavus city. She is one of the youngest women singers who is trying to keep the music and singing traditions of her region alive. Mina Deris was born in 1981 in a family coming from Abadan, Khuzestan province, which is located in southwest of Iran, very close to the Persian Gulf and the Iraq border. During the years of the Iraq war all the family had to move to Tehran. At the age of 15 she went back to Abadan and she lived there for a couple of years and these years have been the most inspiring time for Mina to learn about her original cultural roots and music. She started studying music in Abadan and some years later she continued the music courses in Tehran with the masters Hengameh Akhavan and Farhang Sharif. Since 2000 till the present she has been working in different bands such as Hoorakhsh, Samae, Yaddasht, Navak, Arshan, Polaris and Limer. One of the special features about Mina’s music and singing is that she is able to sing in many different languages and dialects; this makes her music very colorful. As she is a woman with Arab ethnicity of Iran, she is mainly focused on performing Arabic music. She sings very old melodies of this region which are not well known even among Iranian people. She creatively sings in different new arrangements. Her music is mainly a fusion of Arab folkloric music and electronics. She recently has began working in different music and theatre projects as well. Faravaz Farvardin was born in 1990 in Tehran. She started learning music in the age of 12 by playing the guitar and later on she also learnt playing some other instruments such as, piano, harmonica, Ney-Anban as well as singing. Her music masters were Hasmik Karpetyan, Sara Naeini, Esfandiyar Gharebaghi. She is an independent singer who has already released 10 pieces of and 2 music videos in pop, rock, folk and fusion genres which have been widely welcomed. She is currently working on her two new singing albums in collaboration with non-Iranian companies as well as on her teaching classes. In her generation she is one of the youngest woman leaders who has started to create and perform musical fusion of western music styles and Iranian folkloric music. She has performed in many different music and theatre performances in Tehran as well and is strongly believing that singing enables her to survive. Samin Ghorbani was born in 1985 in Tehran. She started learning Iranian classical music in the age of 8 by her father and later on she continued studying with masters Ms. Parisa, Hossein Baharbin, Mirsaeed Hosseini Panah and Hamidreza Noorbakhsh. She has collaborated with different bands such as Mojan, Sayesar, Nestar, Nariman, Hamnavazane Ronak. Because of her family roots, she had the chance to learn the Azeri dialect of the city Ardebil, which is an ancient city in Iranian Azeri region, located in North west of Iran, close to Azerbaijan border. She started learning singing folkloric Azeri music as well and nowadays in her live performances either inside or outside Iran she usually performs both in Farsi and Azeri languages and these ability creates a unique character in her voice, music and performance. Atefeh Moghimi was born in 1984 in Amol county, Mazandaran province, located in north of Iran, very close to Caspian sea. She started learning music and singing in young age by masters like Hasan Hasani, Gholamreza Rezai, Hossein Alishapour. She has been collaborating with different ensembles such as Chavosh, Hezardastan, Avaye Sheyda, Raze Mehr, Ghamar, Ayshem. She mainly performs Mazandarani folkloric music as well as Iranian classical music. She has performed as a co-singer in different audio albums by Hanif Shahmirzadi, Mohammad Zaman Ismaili and Fazlollah Dehghan. She has participated in many different music festivals to perform Mazandarani folkloric music. She is one the most active women in the Caspian sea region who has been trying for many years that Mazandarani music can be heard more and more. Maliheh Moradi Haghighi was born in 1984. She started learning music by playing the Tonbak at age of 7 and later on in the age of 10 by learning singing with her father who has a great knowledge of Iranian classical music. She continued learning music and singing in Tehran by the masters Siamak Jahangiri, Hossein Alizadeh, Mozafar Shafeei, Hasan Pazoki, Asghar Shahzeidi and Mohammadreza Shajarain. She has been collaborating with different ensembles such as Mehrshid, Mahriz, Hamavayan, Atashe Sabz and Sarv as a singer and they have had many live performances in Iran and abroad. She has performed in two audio albums of “Singing in Shadow” and “Miss Iraneh” as well. She is one the women who has spent all of her life time working professionally in the field of Iranian classical music and singing. In addition she has trained many young talented singers so far. Aida Nosrat is a Violinist, Singer and Composer. She started learning classical European music in the age of six and in the age of nineteen she graduated from Tehran music school. She worked as a fixed violin player in Tehran Symphonic orchestra with many great conductors such as Ali Rahbari, Shahdad Rohani and Nader Mashayekhi. In 2008 she has found her quartet music band ‚Manushan“ with her husband Babak Amir Mobasher and since then they are creating their own style of music. They have released three albums, ‚Beyond the vision‘, ‚Swing me to your song‘ and ‚Aida & Babak project of Manushan‘. She is currently collaborating in Iranian 7 French film and series musics as a singer. Maedeh Tabatabaei Niya was born in 1980 in Isfahan. She started learning Iranian classical singing with her uncle and father and later on she continued with the masters Ali Jahandar and Moahmmadreza Shajarian. She collaborated with different music ensembles such as Delgosha, Faragh, Bang, Ava, Baran and she has performed with these ensembles in different live concerts both in Iran and abroad. She also sang in two audio albums by Siamak Jahangiri and Masoud Arzanlou. She is one the most active singing teachers in Isfahan who is supporting many gifted female singers in different ages in developing their talents to be able to grow and to be heard. Sahar Zibaei was born in 1993 in Kermanshah, the largest Kurdish-speaking city which is located in west of Iran, near the border of the Kurdish region of Iraq. She started to learn singing Kurdish folk music as well as Iranian classical music in a very young age by attending music courses both in Kermanshah and Tehran by the masters Ramin Tafazoli, Mojtaba Bahrami and Mojtaba Asgari. She has been collaborating with different groups such as Shaho Andalib Ensemble and Makoon. She has performed in various audio recordings and music videos which are produced both inside and outside of Iran. Haleh Seyfizadeh is a young singer who for a considerable part of her life has committed herself to learning and performing classical Iranian music. In 2000 she began performing with the Ali Ghamsari Ensemble. On stage she performs traditional music accompanied by quiet, new musical arrangements or compositions. 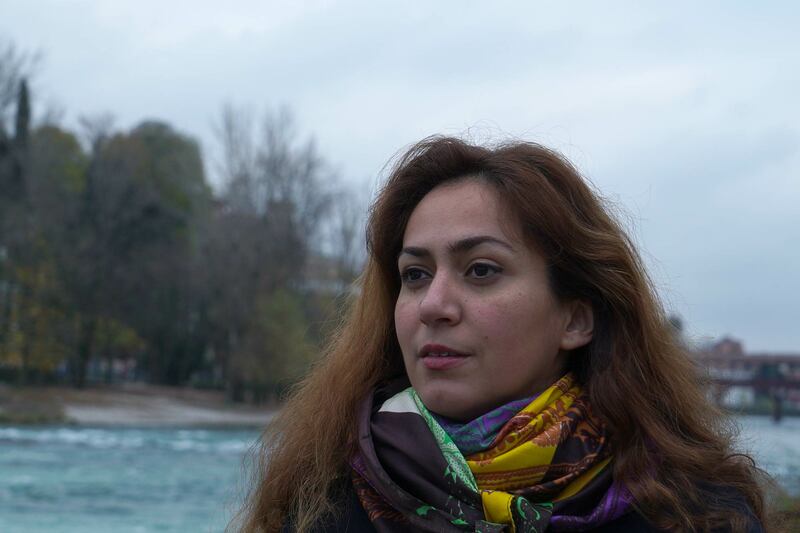 She has performed in various documentary film scores and theatres in Iran. She recently began to perform internationally with the Yade-Doost women ensemble. Born and raised in Tehran at the time of the Iran-Iraq war, Golnar Shahyar is a singer, multi-instrumentalist and composer, based in Vienna, Austria. At the age of 16 she moved with her family to Canada and got her bachelor’s degree in biology at York University in Toronto. Her passion for music and singing led her to Vienna in 2008, where she studied jazz singing and guitar at the University of Music and Performing Arts. Golnar is one of the pioneers in mixing Iranian music with jazz and improvised music, and has performed with different local and international bands since 2011. With her diverse voice she interprets her own lyrics in Farsi and English, as well as her fantasy language, and sometimes she uses as well modern as classical Iranian poetry. Jivar Sheikholeslami was born in Sanandaj, the capital of the Kordestan province in Western Iran, where Sorani, a Kurdish dialect, is the main language. At a very young age Jivar Sheikholeslami tried to establish the first all female band in the region. She has been organizing performances specifically for female audiences in Sanandaj and Tehran for more than 15 years now. 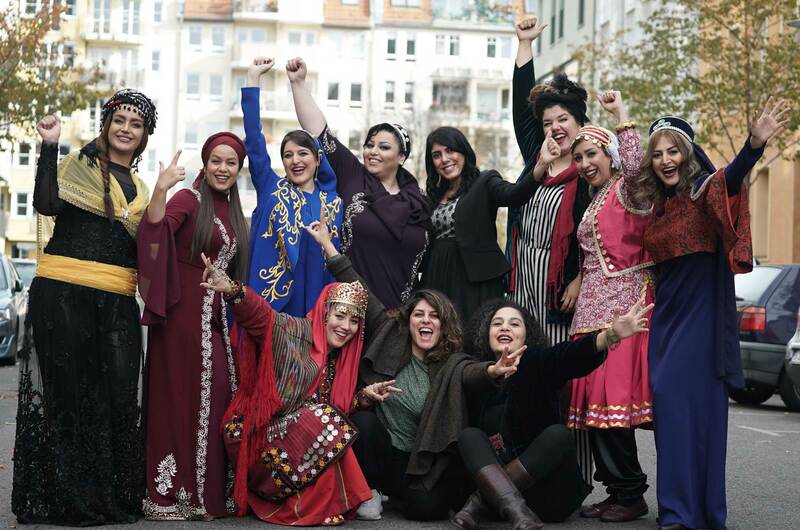 The performances present Kurdish melodies and lyrics in the different dialects as well as classical Persian music with Farsi lyrics, thereby being accessible for women audiences from all over Iran. Solmaz Badri is a talented young singer working within the classical Persian musical tradition. She started learning music in Tehran at a very early age. Her voice has a specific colour, mastered by very few singers. She is very much inspired by old traditional voices but she has her own unique way of performing. She is very gifted in the art of improvisation. 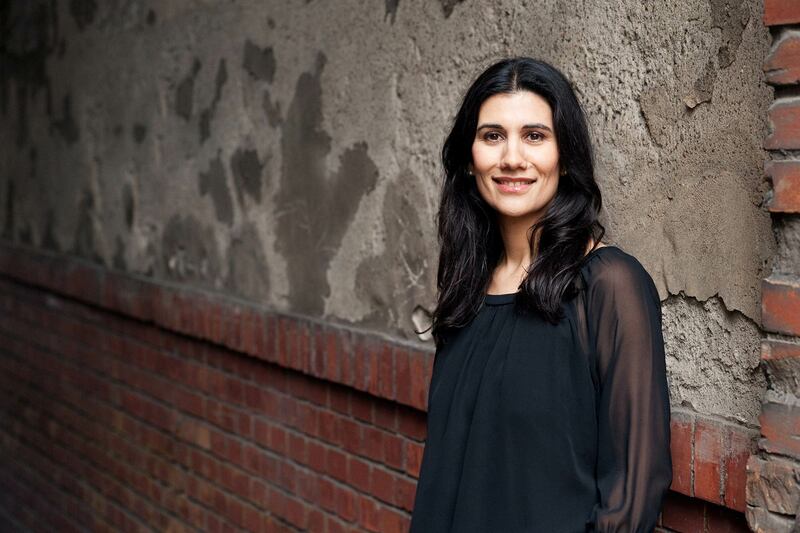 Born to Iranian parents in Germany, Cymin Samawatie was raised bilingually and biculturally. She studied classical music in Hannover, focusing on percussion and piano, as well as jazz voice and composition in Berlin. Cymin Samawatie’s compositions combine the musical colours of impressionism and the vitality of contemporary jazz with the beauty of Persian poetry. The Qashqai are one of the oldest nomadic peoples, and to a large degree they maintained an ancient lifestyle until the last decade. They are a Turkic-speaking confederation of Eurasian and Turkic tribes. Dena Gorginpur is one the last Qashqai women to have experienced part of her childhood in the nomadic, tribal tradition, as generally the following generations started to settle in urban environments. Dena was born into one of the oldest Qashqai family dynasties of musicians, so the traditional music was an integral part of her life from the day she was born. She is one of the very few women in Iran who can remember and perform the pure melodies of the Qashqai tribes. Mahabad is a city in North-western Iran, and the inhabitants speak the Sorani Kurdish dialect. Music in Mahabad has an unbreakable connection to people’s daily lives. Zara Rojhellat started singing at a very early age in Mahabad, a large part of her family and relatives being musicians. She thus had the chance to learn the old Kurdish Makams (melody patterns) by playing and singing with older musicians. She has a technically very well trained voice and is highly skilled in the improvisational Kurdish musical tradition. Zohre Gholipour is a singer who has spent a big part of her life studying and performing classical Iranian music. Tehran hosts numerous female singers in this genre, but Gholipour has a special niche due to her ability to pitch her voice in a very low register, a rarity in Iran. She has also studied Arabic musical tradition extensively, studies that have influenced her style of singing greatly. Her performances create a unique merger of the two musical styles. Khorasan is the biggest province of Iran located in the Northeast. In Northern Khorasan Kurdish people speak the Kurmanji dialect. These Kurds were exiled from Northwestern Iran after the War in 1610 between the Kurds and the Safavid Empire. The music of this region is mostly very tragic, as these people had lost many of their family members and relatives. Today Yalda Abbasi is the youngest Kurdish singer in this region, and she started learning traditional Northern Khorasan music at the age of 12. The lyrics of her songs are always based on the real life stories of women prisoners of war. She recently moved to Italy to develop her singing by studying Baroque music. Shadi Behyar was born in Mahabad in Northwestern Iran, but decided to move to Tehran at a young age. She studied classical Persian music, but after a few years she felt she had lost the feel of her real voice while singing traditional music, and thus decided to follow her instinct and become a pop singer. At that time Iran had very few female pop singers, so Shadi Behyar became something of a trailblazer. She performs in Kurdish and Farsi. Shadi has a strong personality, being a woman who was disabled at a very young age. She never gave up on her dream of singing, even though she knew she might not get a permission to perform live with her band in Iran. Bushehr is a city in Southern Iran, close to the Persian Gulf. It has a very rich cultural history, dating back to around 2200 BC. Folk music of the South is one of the most vibrant music genres in Iran with a wide religious texture. Lyrics are mainly tragic, but there are also many melodies specifically for weddings and other happy occasions. Unfortunately these songs have not been performed to a great extent by women, and they are disappearing over time. Baran Mozafari is one the very few women in the region trying to keep the traditions of their mothers’ generation’s singing styles alive. She only sings cheerful melodies from this region to send the message to the world that the music of Bushehr is not only used for tragic occasions and that it has a very bright side too.